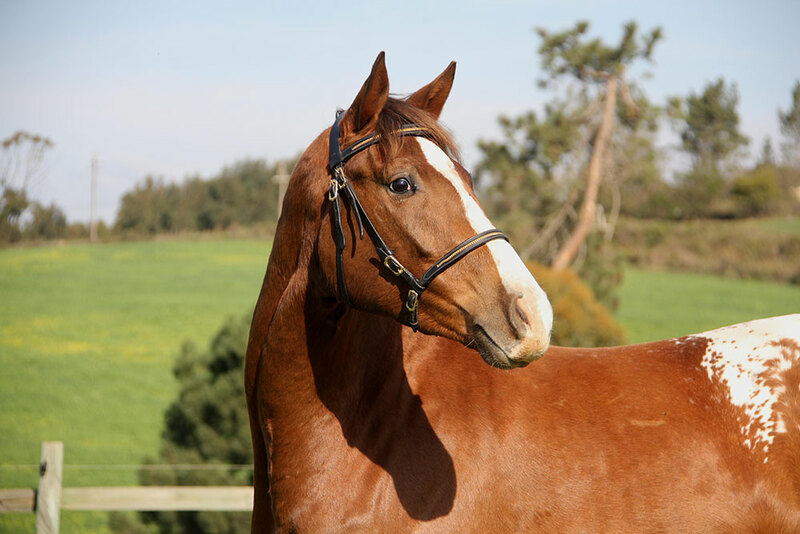 Chicago, one of our maiden mares, has several traits that make her an exceptional candidate for our selective breeding program. 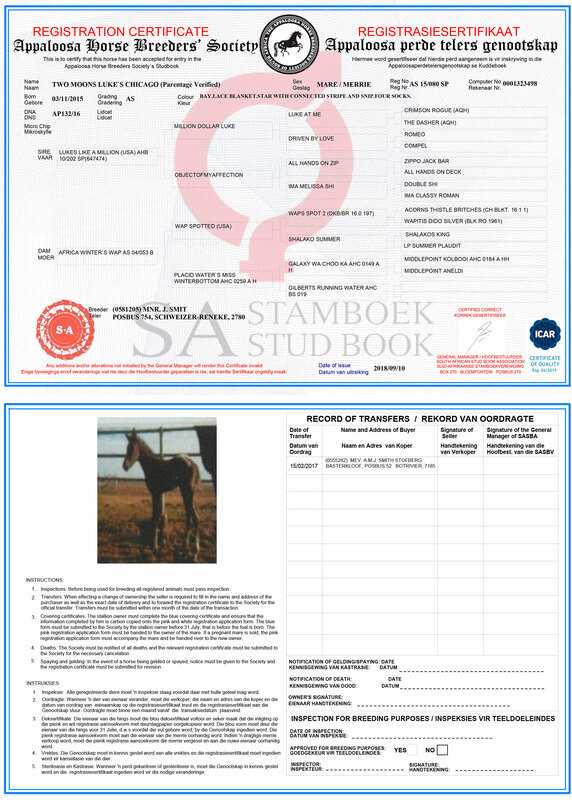 Occasionally we add outside mares to our few kept homebred mares to contribute to the quality of our breeding program success. 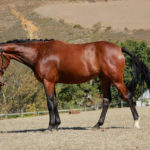 She has a pedigree which does not only provide diversity to the South African gene pool, but also unifies some of the most important international competition lines. 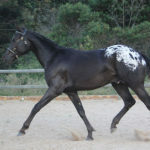 She is of muscular type like that of the hunter ancestors, but in absolute balance with her whole anatomy. 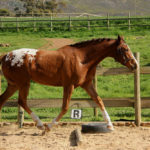 She has a great length of rein and leg which makes her attractive and athletic. 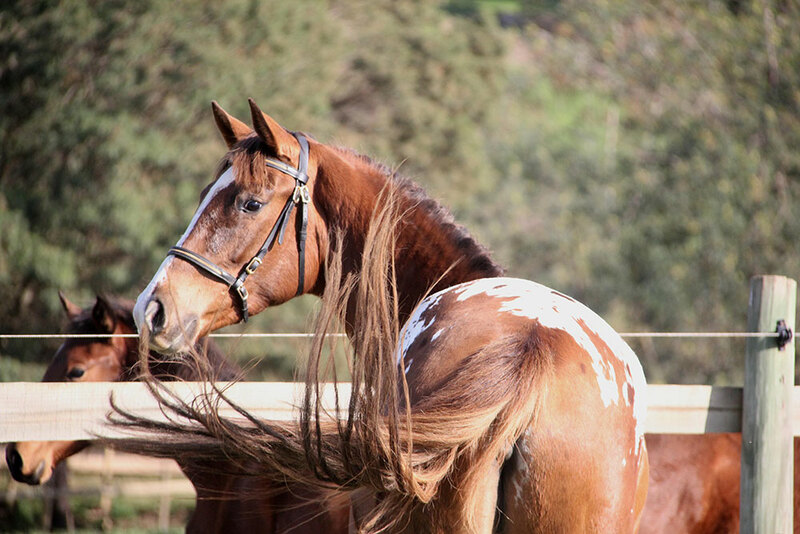 She has powerful paces that are as light as a feather. 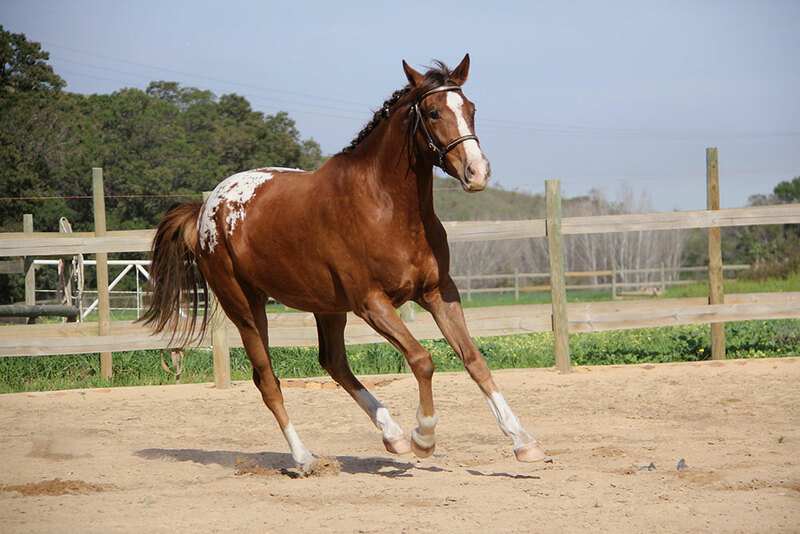 Her temperament is steady, not overly sensitive with good work ability. 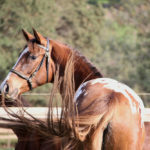 She is not easily fazed by new objects and if so she chooses to have a good look and then carry on with the job at hand. 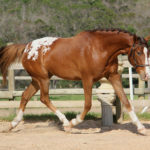 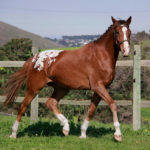 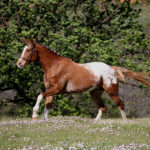 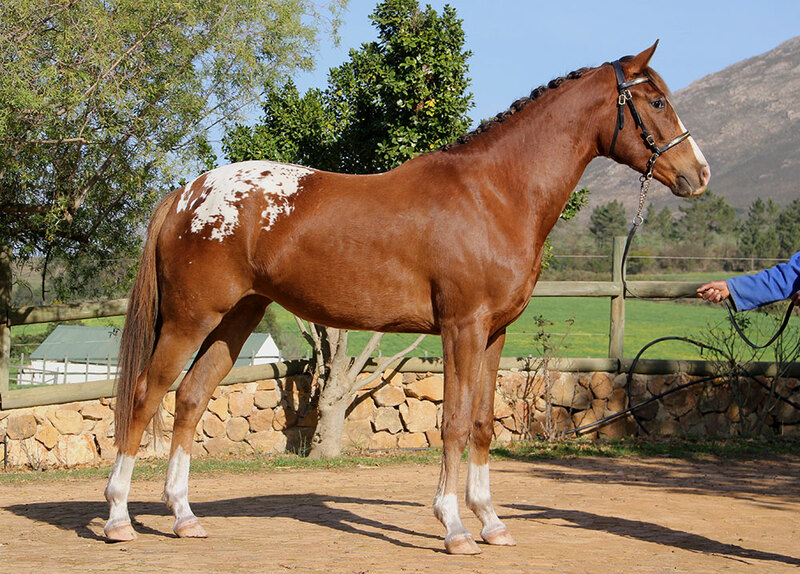 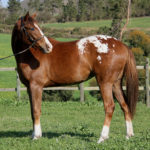 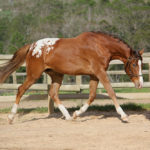 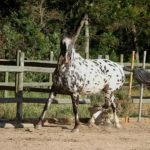 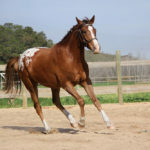 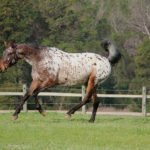 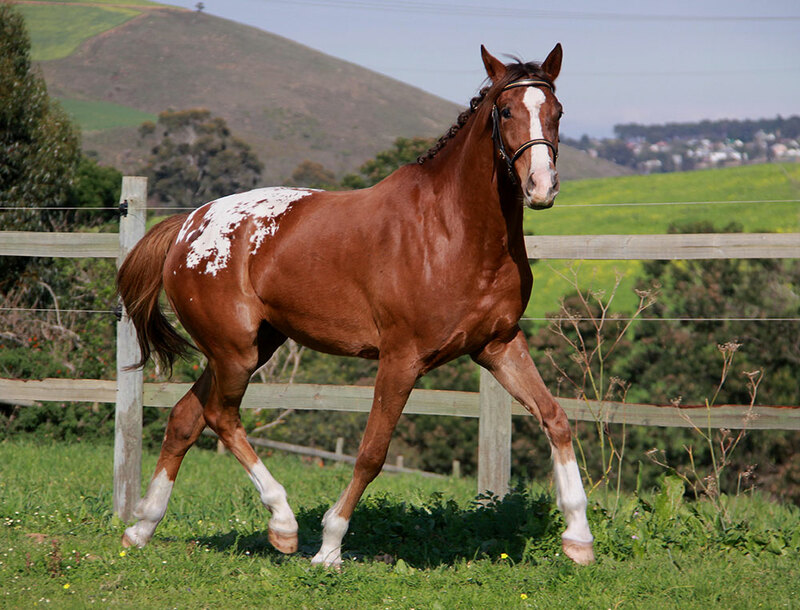 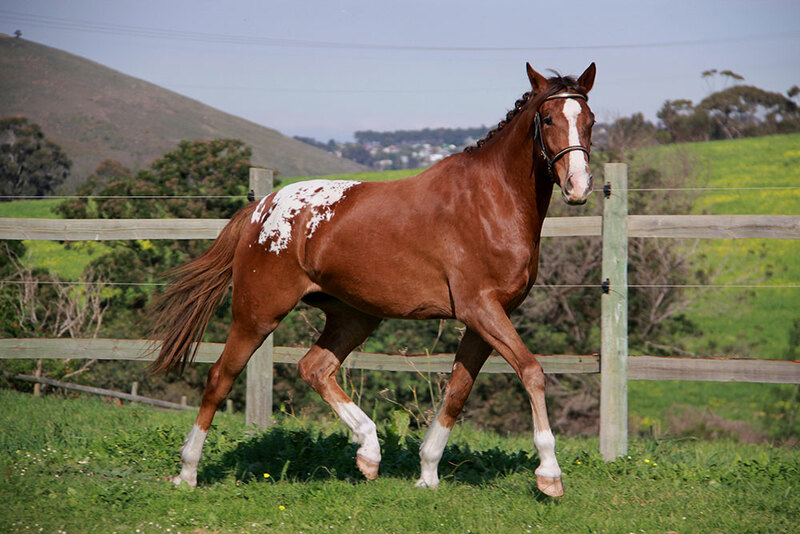 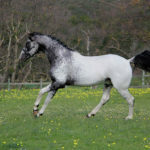 Luke’s Like a Million (Imported USA); A liver chestnut spotted blanket 17.1 hand appaloosa stallion that sired up to date international and national champions. 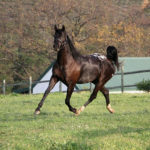 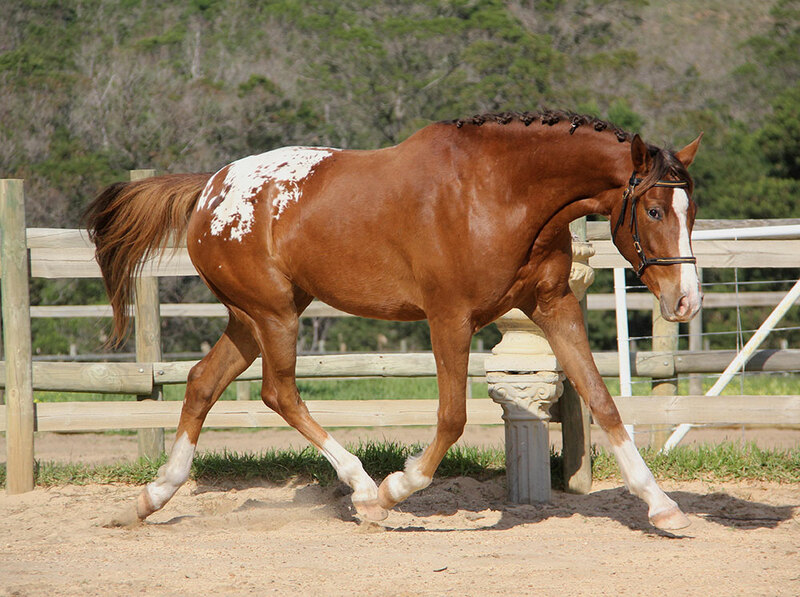 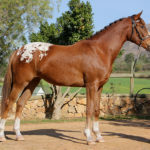 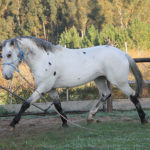 Himself the 2009 Appaloosa World Champion Hunter under saddle evaluated by 5 judges with multiple wins in South Africa. 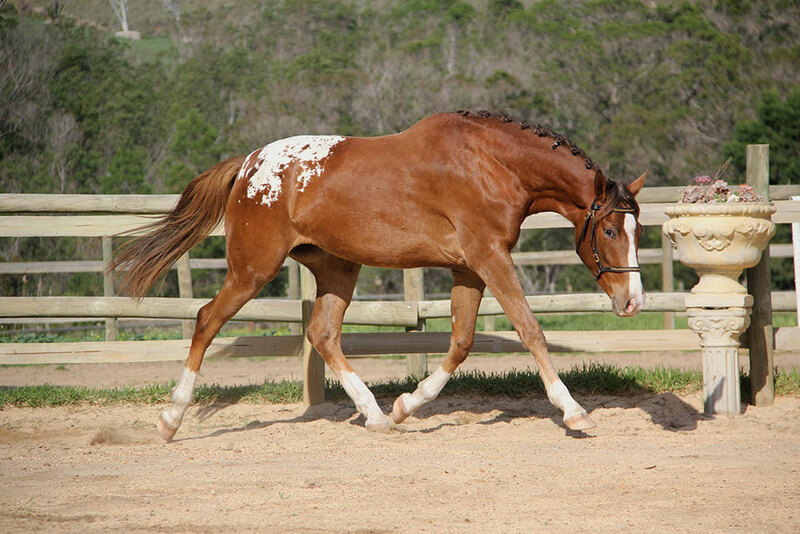 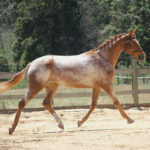 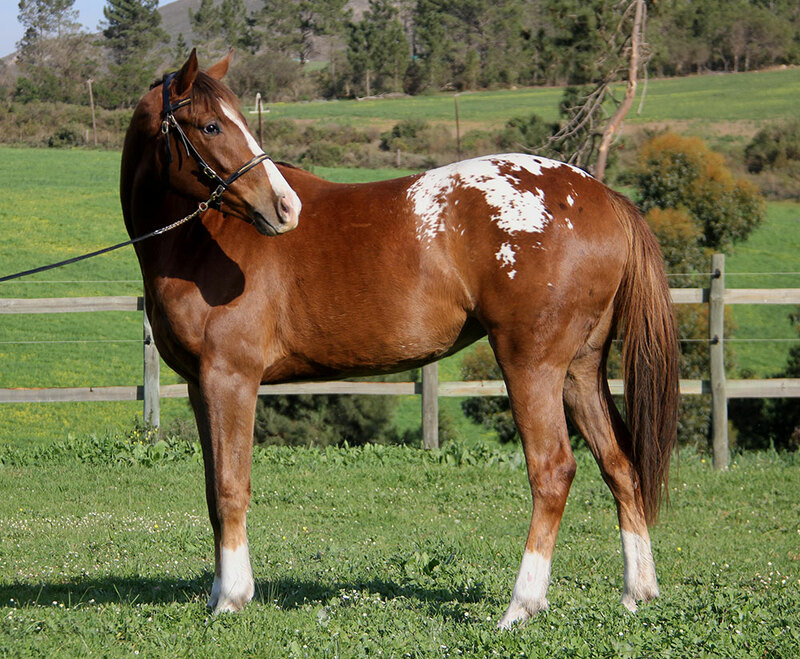 Owned by Two moons appaloosa stud. 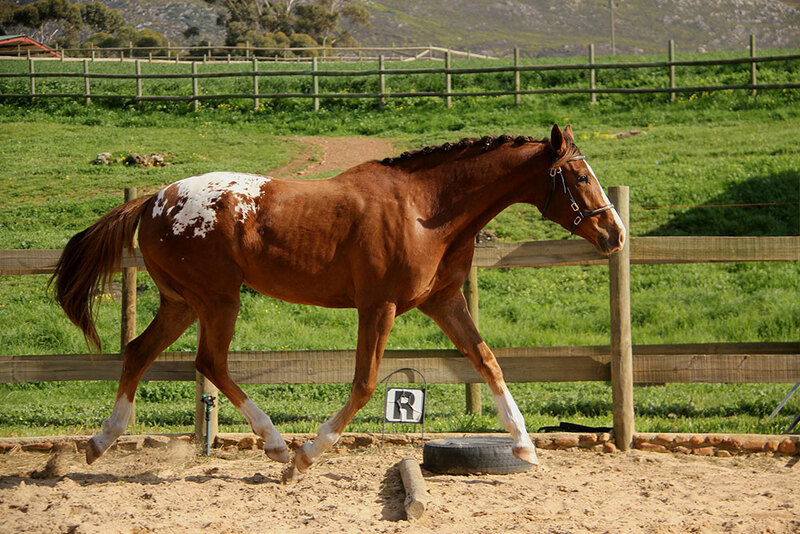 Africa’s Winter Wap (by Wap Spotted); A bright bay with white markings out of the well showjumper, Placid Water’s Miss Winterbottom by the world famous Wap Spotted. 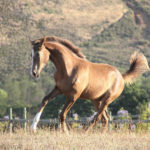 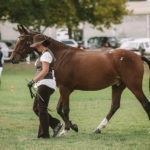 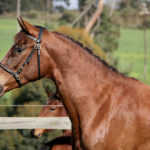 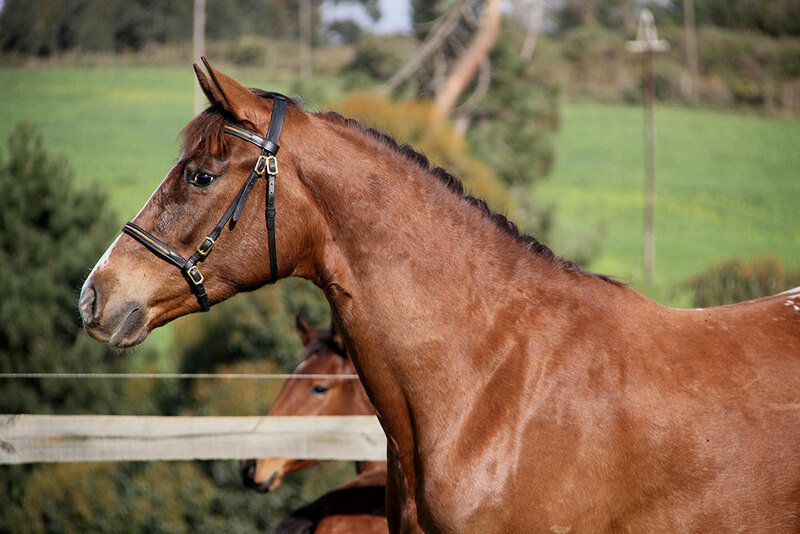 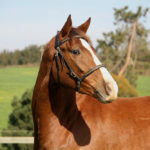 A modern balanced sport horse type mare for her time and a proven producer of good quality offspring. 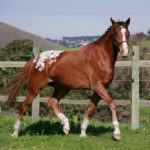 Chicago has been bred to our resident stallion, Painted Wap’s Last Image for a September 2019 foal. 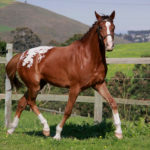 This combination of breeding would guarantee preservation of good type through the addition and unification of a high proportion of genes found in multiple of their ancestors. 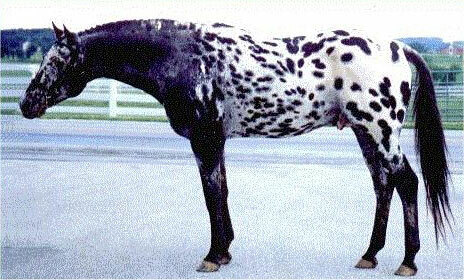 In this combination of breeding the direct Wap Spotted ancestry will be prominent and only knowingly induced after the 4th generation to avoid direct inbreeding depression. 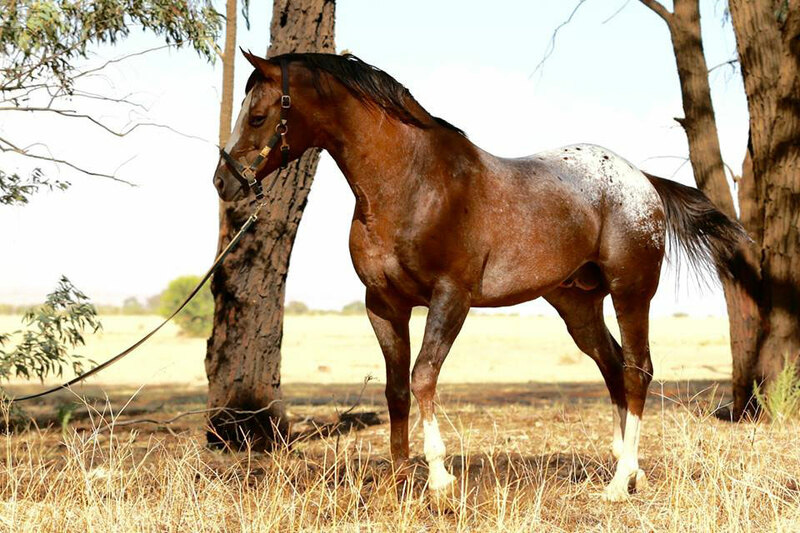 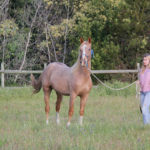 Wap Spotted, A medallion stallion, one of the very few individuals whom were dual registered as an appaloosa and warmblood because of his athletic type and work ability with multiple winning offspring in different sporting disciplines.